Poolside Manor Pool Parties are famous all over for the lasting enjoyment they bring. They are suitable for children of all ages (aged 5 and above). Friends and siblings who are aged under five are welcome in the water, provided there is a designated adult prepared to accompany each of them in the water if deemed necessary by the party lifeguards upon being swim tested at the beginning. Any adults required in the water are included in the number of swimmers. 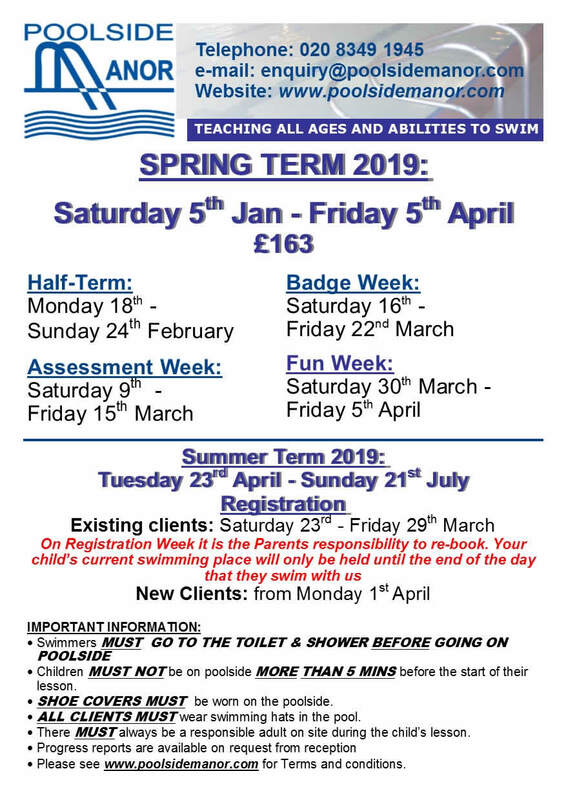 All children are swim-tested to decide who needs to wear armbands (supplied by Poolside Manor) and those that wish to swim at the deep-end are then tested again. Parties are often booked to celebrate a child’s birthday, although any celebration is in order! Parties take place on a Saturday and Sunday afternoon, each lasting 2 hours. There are three- 2 hour slots on each day such is the demand we face. Guests arrive fifteen minutes before the party starts to greet each other and get changed. A maximum of thirty swimmers are permitted to swim, which includes all siblings under the age of five and their guardian. Parties launch into the pool for the first hour. This is split into two parts followed by a second hour on the dry side. Part 1 is host to an assortment of exciting pool games, led by our party lifeguards. Part 2 is complete free play session within the allowed area of the pool based on swim tests (no swimmers are not allowed in the deep end). There is a giant inflatable, floats and various toys to increase the fun level. Diving is permitted for those allowed in the deep end. At the end of the first hour, swimmers get changed for the dry side. Once dry, swimmers and guests have their party food (food, plates, cutlery, cups, table cloths or decorations are not supplied by Poolside Manor but tables and chairs are). Once guests have enjoyed the last of their food, dry games begin in our activity room, ranging from party classics to some modern greats or a disco. Our party staff will also clean and tidy up while children enjoy the dry games before the party draws to an end. The normal party format is provided for up to 25 swimmers. We can accommodate up to 30 swimmers in the pool at any one time. This does require us to provide a fourth lifeguard to comply with our swimmer to lifeguard ratios; at a marginal cost. £125.00 deposit is payable at time of booking, the remainder to be paid on the day of the party. Poolside Manor party invites are available for all guests within the price of the party. A file will be attached to your party booking confirmation, this file contains invites which you are able to print. It will have details of how to find us and contact details on the back for your guests. Alternatively you can collect invites at reception or we can post them to you on request. Parties are booked on a first come first served basis. Our pool parties are extremely popular, with many bookings taken months in advance. We therefore strongly recommend that you book early to avoid disappointment. Party availability can only be obtained by telephoning our reception. Bookings are only made on payment of the deposit amount and cannot be reserved until payment is made. The remainder of the balance is then due on the day of the party. Bookings are non-refundable and non-transferrable. No alcohol is to be consumed on site due to licensing regulations. In line with our Water Quality Policy, all bathers must wear swimming caps whenever they are in the pool. If an adult needs to get into the water with a child the adult is included in the party number in the pool. Bookings are only made on payment of the deposit amount and cannot be reserved until payment is made. The remainder of the balance is then due on the day of the party. Bookings are non-refundable and non-transferrable. Photography and video recording are permitted subject to approval of the party parents and/or Poolside Manor management. Our parties can be booked for up to 25 children or up to 30 (30 is our maximum). For every under five year old, one adult must be prepared to support them in the water. Any adults required in the water will be included in the total swimmers booked (up to 25 or up to 30). Maxmium 30. A final decision will be made by our party lifeguards during the initial swim test.